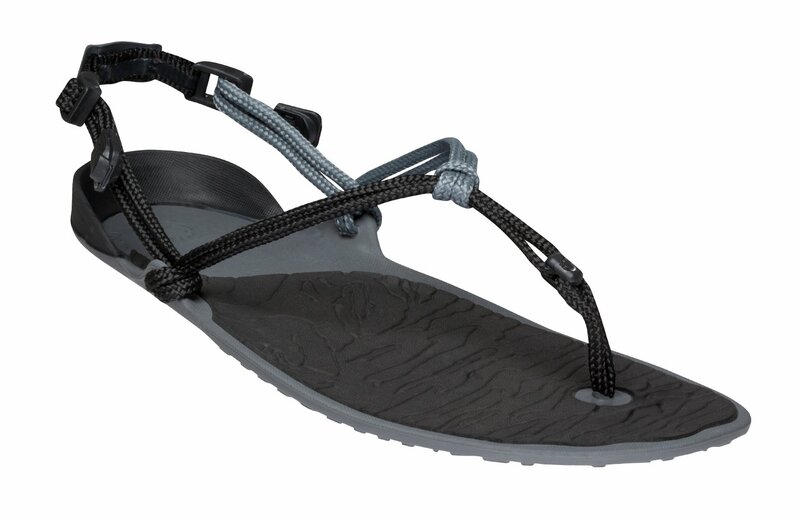 NOTE: The Cloud is a unisex style, so for example a men's 8 is the same exact sandal as a women's 9. Follow these simple video instructions to get the "just right" tension. Any questions? Just call us at 303 447 3100 or send us an email. We’re here to help. The Cloud fits true to size. NOTE: Red and Mint Clouds are discounted to $19.99. If you don’t see the size/color combination you would like, it is sold out. Make sure you’re subscribed to our newsletter to hear when we get more inventory. 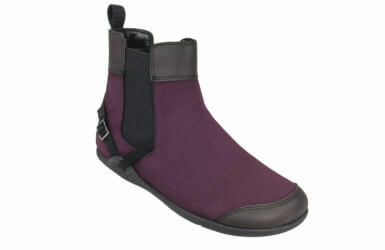 This makes the Cloud even lighter and more flexible than the Venture… A women’s size 7 is only 3.8 ounces (ea). The Cloud floats! Some people think of the Cloud as their casual Xero Shoe, even though it’s sturdy enough to tackle a 100-mile trail ultramarathon. 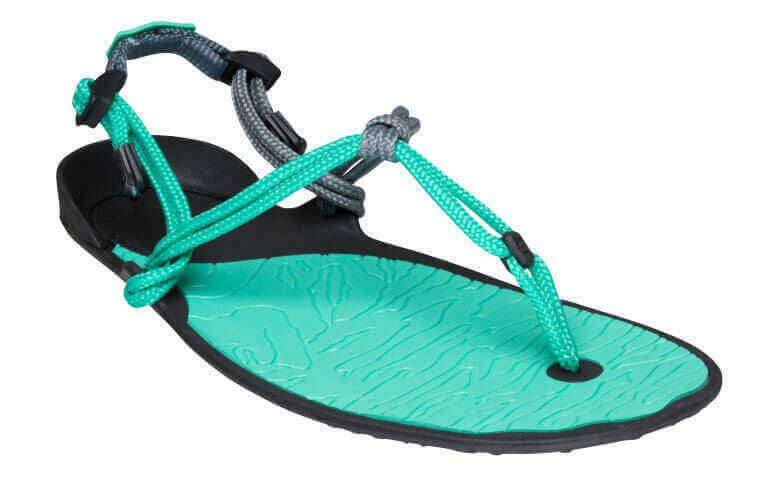 NOTE: The Cloud is a unisex style, so for example a men’s 8 is the same exact sandal as a women’s 9. How long will the Xero Shoes huaraches last? Frankly, we don’t know. We’ve had people put over 10,000 miles on a pair… and they’re still going! Like any shoe, how long they last depends on your running style. If you use good barefoot technique and are light and easy, without scraping your foot on the ground, you’ll enjoy them for quite a while. Besides, considering how inexpensive they are compared to big, padded, running shoes, we expect that you’ll be saving a fortune by using Xero Shoes. And, more importantly, Xero Shoes come with a 5,000 mile sole warranty! Will running in huaraches (or barefoot) cure my running problems and injuries? If you have a headache because you’re hitting yourself on the head with a hammer, wearing gloves won’t stop the pain. In other words, it’s not just a question of taking off your shoes and experiencing magical healing powers. Running barefoot, or in running sandals, gives you a lot of feedback about your running form. In short, if it hurts, you’re probably doing something wrong. If you are willing to listen to that feedback and use it as an opportunity to change the way you run, to adjust your stride, to find a way to move that doesn’t hurt, then there’s a good chance any problems you had that were caused by bad form sure might clear up. In other words, barefoot and minimalist running could show you how to let go of the hammer. Being barefoot, or in huaraches, is an opportunity to find a cure, not a cure in and of itself. Check out this post to read about people who, instead, thought barefoot running was about putting on gloves. Can you really run in these things? Tens of thousands of people all around the world of all ages use Xero Shoes for running… and walking, hiking, biking, camping, going to the beach, hitting the gym, doing yoga, even running 100-mile ultra marathons. Our former Customer Happiness Manager, Bill, ran from his house to the bus, from the bus stop to the office, back home, and then around with his dogs… then he does his fun runs on the weekend… that was about 120 miles on his Xero Shoes each week! Can I change the laces on the Cloud and Venture? What’s the difference between the Venture and Cloud Sandals? The Venture and Cloud are ready-to-wear barefoot-inspired sandals. Both products use our exclusive FeelTrue® rubber, the only outsole product made specifically for barefoot style sandals. The Cloud and Venture have a soft toe post, so there’s no knot under your foot. The Cloud and Venture have a simpler lacing system with a patent-pending adjustment technology that lets you get a perfect fit in just seconds. The ankle holes on the Cloud and Venture are raised off the ground so the lace can’t abrade. The heel cup helps keep stuff from getting under your foot (not perfectly, of course), and keeps your heel in place. I don’t like things between my toes! Most people who say this are thinking of flip-flops. Xero Shoes are very different than flip-flops, and people who don’t like things between their toes are usually fine in Xero Shoes. First, because of the heel strap, Xero Shoes stay on your foot comfortably, no matter what you’re doing with them. You don’t need to scrunch your toes to hold them on (like you do with a flip-flop). And finally, you can adjust the tension of the toe strap, unlike a… Well, you get the idea. How do you run in these huaraches sandals? I can’t give you a barefoot running lesson here (for that, see the links on our home page). But just by wearing them, you’ll find quickly that you don’t want to land hard on your heel as you walk or run in Xero Shoes. The best advice I can give is: play with your gait and stride, looking for the thing that feels the most comfortable and is the easiest. But, most importantly: TAKE IT EASY at first… remember, Xero Shoes are just like barefoot, only with protection and style. If you’re not used to walking barefoot, that alone could take some time to get used to. Plus, since you’re not putting as much stress on your skin when you wear huaraches, which means it hurts less, it’s tempting to do too much, too far, too fast at first. I know that no matter what I say you’ll probably overdo it (I did). Besides, how do you know what “too much” is, unless you do too much!? Well, even though that’s true, I recommend you break into your huaraches SLOWLY. Walk around in them for a while first. Maybe only a half mile or so. When that’s comfortable, extend the time you’re walking and, when you feel ready, try running. If you’re already running a mile a day, try half a mile in these one day and see how you feel. Give yourself a day or two off and then repeat. If that’s not a problem, build up SLOWLY. I also use the “slap-test.” If my sandals are slapping on the ground when I walk or run, I need to make some kind of change, probably by not reaching my foot out as far, or using better posture, etc. Why don’t you use leather or hemp laces? You can use almost anything for lacing huaraches. The 100% polyester cord we use is strong, light, and doesn’t stretch or tighten, especially when wet. Also, I prefer the “slip-on” method of tying which works best with a round lace, rather than a flat one (like leather). Needless to say, you can replace the lace we send you with whatever you like. Because of the BareFoam™ in the Clouds, these need a bit of extra attention. Do not leave your Clouds in hot cars or exposed to intense or direct sunlight. This could cause the BareFoam™ to deform and is not covered by our warranty. To clean your Cloud sandals, hand wash with warm water, mild soap and allow them to air dry (away from direct sunlight). So far so good. It's taking some adjustment time as this is the first type of shoe I've had like this. So far a big fan. Can't wait till it warms up a bit so I can wear these outside! They feel great around the house, but it's too cold for me to go barefoot outside right now. But I'm planning to take these with me in May when I walk 160 miles on the Camino Portugues from Porto to Santiago. Lightweight, super-packable - I'm counting on them! These shoes were exactly what I was hoping for in my bid to find a 'barefoot' shoe, that is a shoe that would protect my feet but force me to be mindful of how I am walking. I am aiming to correct how I walk. Thank you for your comprehensive shoe fitting guide. Without it I would not have purchased shoes online. One foot is half a size smaller than the other. I opted for the larger size. The smaller size would have been too short from the toe placement. These are my first barefoot sandals, I tried it at home and found it light and very comfortable. It's very cold and snowy outdoor, hard to try it now 😉 I'll wait for spring to compare these with fully barefoot hiking. Very fast delivery, thank you! Happy New Year! Very comfortable. Feet feel very relaxed in these sandals. Very well made and comfortable to wear. Have a good grip on them the first day I worn them it was pouring down with rain, a heavy thunderstorm, didn't know it was going to rain that day as we don't watch the news. Any way they were great didn't feel unstable or slippery once, very happy. these sandals are incredibly comfortable ONCE you have found your way to have them tie to your feet lol. Saw the video and super well explained, yet each foot of mine has different tie... I love them, totally comfortable. Will do the trick for my transition from regular running shoes to minimalist... plus they are cute so you wear them anywhere you go! It's winter so I haven't worn them out of the house yet. I like the idea of the heel cup but it feels kinda funny on my heel as does the logo imprinted on the heel. I worry that it will cause some heel discomfort when I wear them for longer periods of time. Otherwise, they are light as a feather and soft underfoot- how did they pull that off?? I bought the mocha and black ones and I love the color combo. I would have bought all black ones if they had them, but I do like the warmth of the brown and am happy with that option. The straps are easy to use and comfortable. They are so small, it's great! What I love about xero shoes in general is that as a person who travels a lot, I can bring multiple pairs with me and they take up the same amount of space as a single pair of "regular" shoes. Happy Camper! 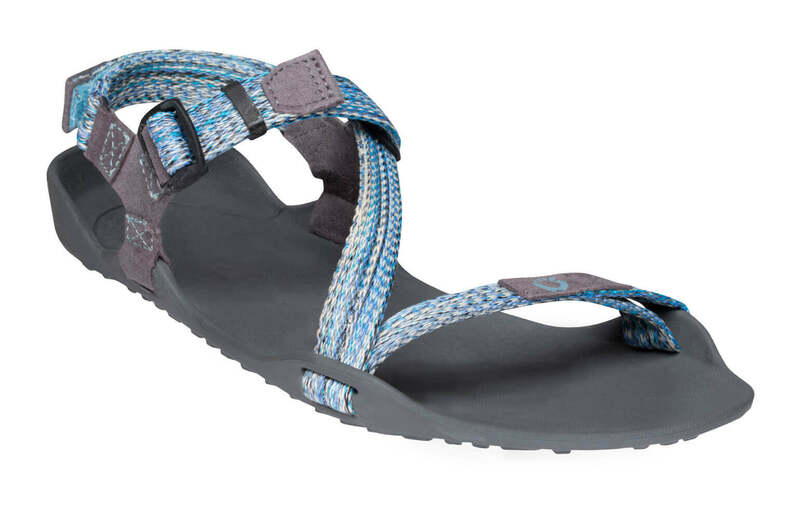 I bought these right before my trip to France, thinking that they’d be a great all-purpose shoe for running, hiking, the beach, the shower, as slippers, and even with my dresses. I haven’t covered them all yet, but I’m looking forward to it! And they just plain feel great on when I’m doing nothing at all.